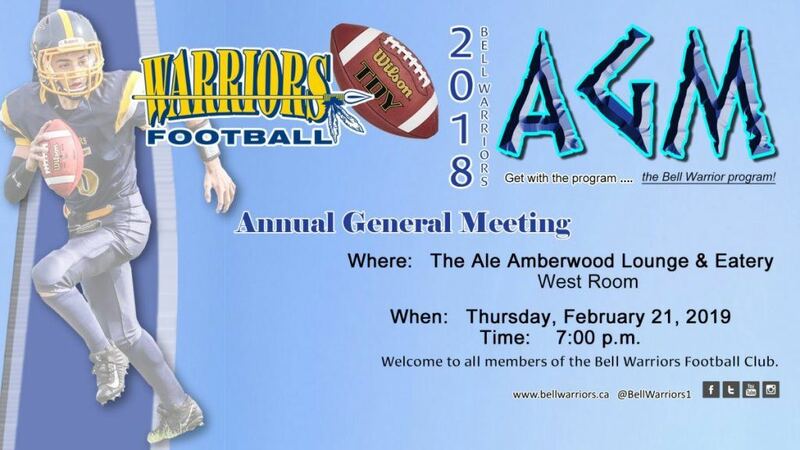 The 2018 Bell Warriors AGM will be held at 7:00 p.m. at The Ale – Amberwood Golf and Country Club, (54 Springbrook Drive, Stittsville) and is welcome to all current members of the Bell Warriors Football Club. There will be Director and Executive reports, a financial year-end presentation and elections of officers for the 2019 season. Afterwards the Warriors will be holding a planning session to map out events, roles and goals for the upcoming season. 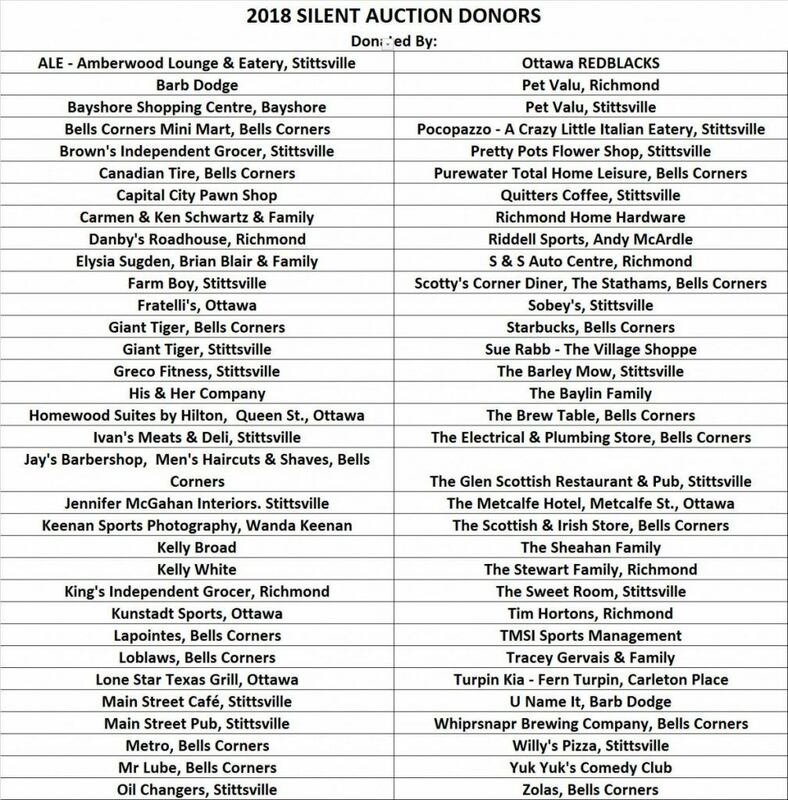 Those interested in showing a greater level of support and involvement in the Club are invited to contact president@bellwarriors. See you there! 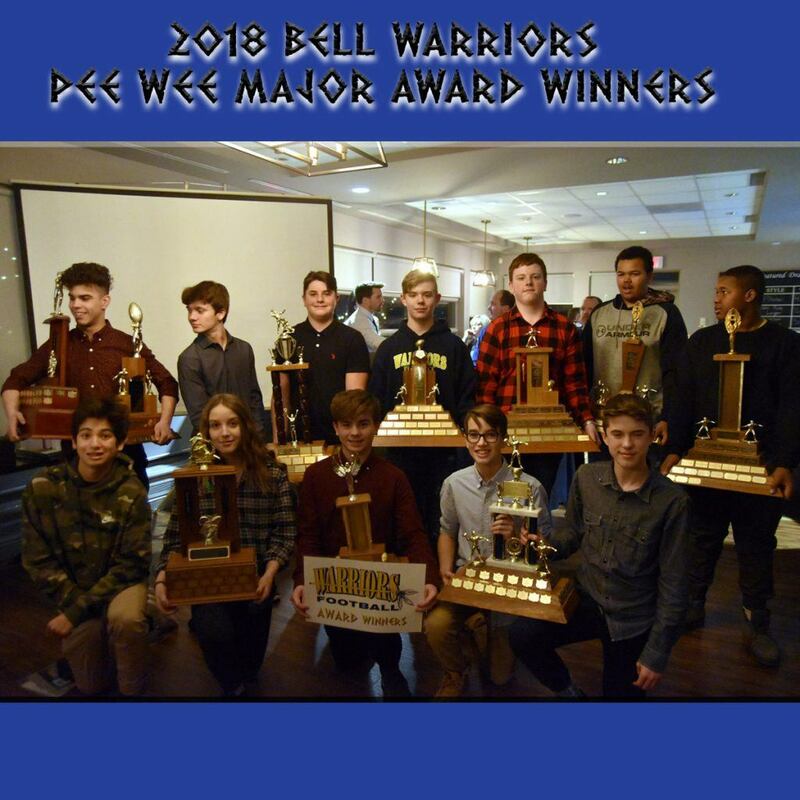 Another terrific day celebrating what it means to be a Bell Warrior at our annual Team Banquets in conjunction with our 7th Annual Bell Warriors Football Silent Auction Fundraisers. 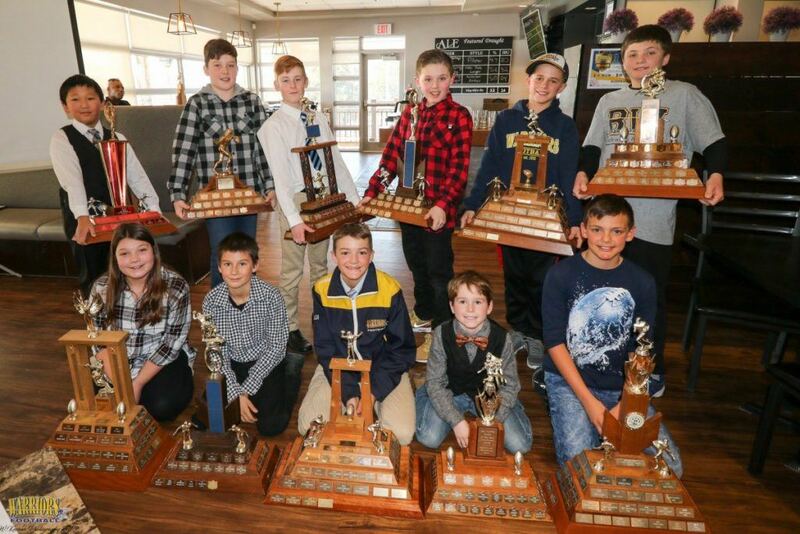 “The day is all about giving our young players a big pat on the back for all of their hard work this past season. Our recipe for success is simple. You have to work hard to challenge ourselves, to always strive to learn from our mistakes, to never get discouraged, to strive to grow and as importantly, realize that our actions impact those around us. 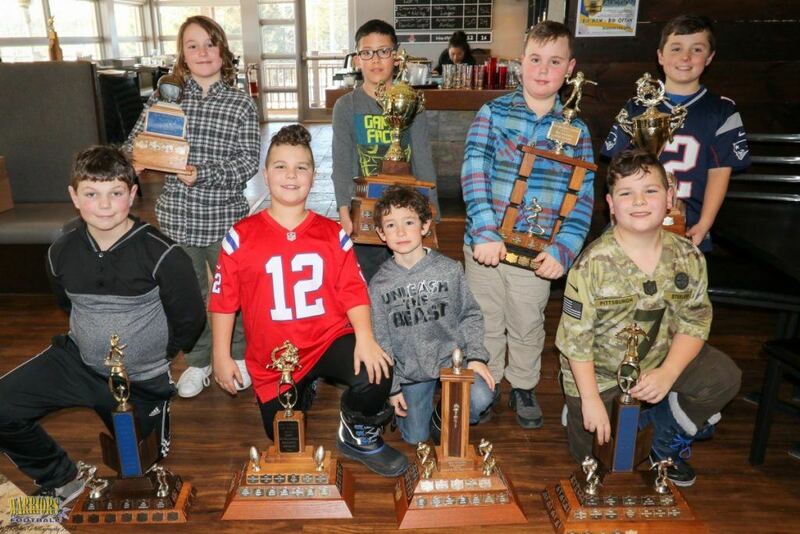 You’ll not only succeed but inevitably, your leadership will lead to successes of all your teammates who you inspire and motivate.” ~ Paul Stewart, Warriors President There is lots to celebrate when we do that and ultimately, this is what our Warriors celebrated Saturday at our day long of hosting of two annual Team Banquets. For all of our volunteers that helped with the setup, administration and tear down of the auctions, THANK YOU. Your hard work helped us raise close to $6,000 for our Warriors! 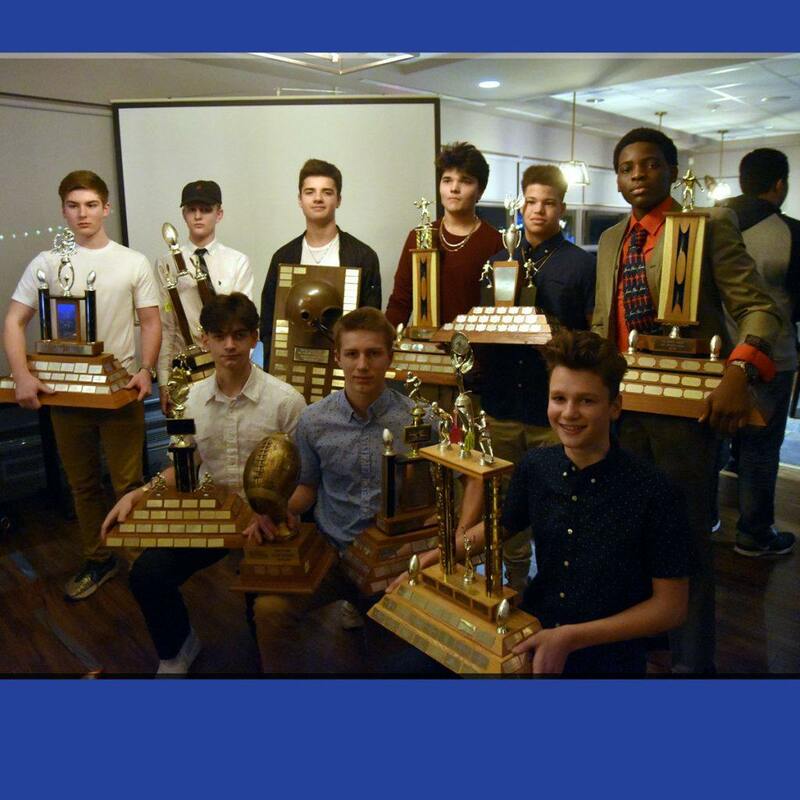 Your 2018 Bantam Major Award Winners: Front Row LtoR: Santino Palazzolo (Most Versatile); Colin Doherty (Leadership & Most Outstanding Offensive Player; Zach Baylin (Most Improved); Back Row LtoR: Ethan Morissette (Most Oustanding D-Player); Duncan Leclair-Robertson (Best D-Back); Caleb Faulkner (Coaches Choice); Harris Malik (Best D-Lineman); Dakarai Baskin (MVP), and “Success” Sos Chikezie (Best O-Lineman). This HUGE DAY is one that our Warriors embrace and should never be missed! Before we know it we will be back at it again but on this day, we celebrated greatness and our Warriors’ RECIPE FOR SUCCESS! 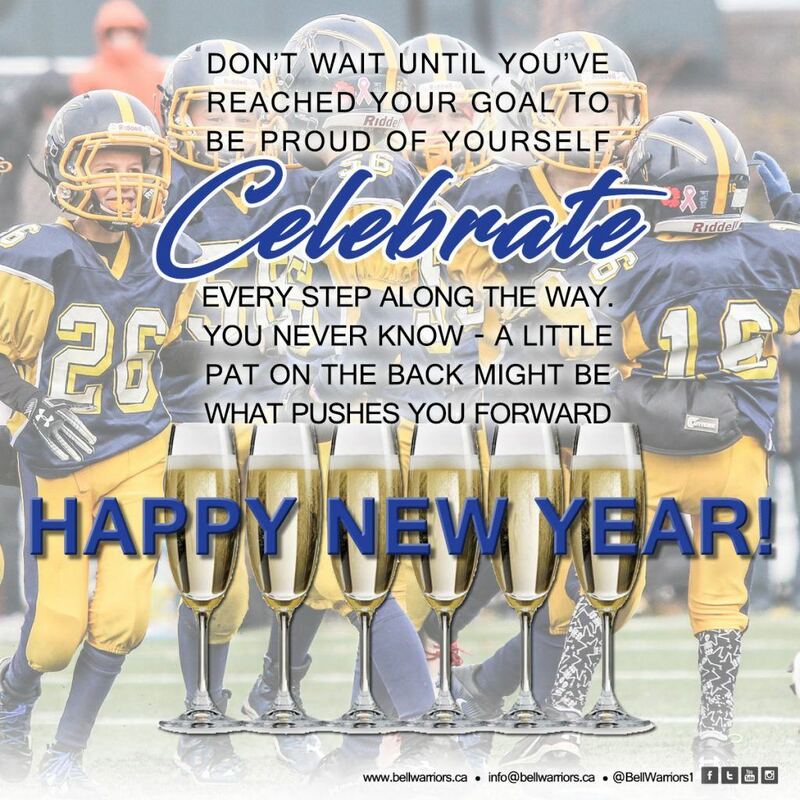 From all of the boys & girls, volunteers and alumni at the Bell Warriors Football Club – HAPPY NEW YEAR!